Who doesn’t like fudge brownies? This easy to make recipe can provide your family with healthy dessert or snack options that you can feel good about. Note: If you wanted to make these completely vegan friendly you can use Isagenix dairy free shake. 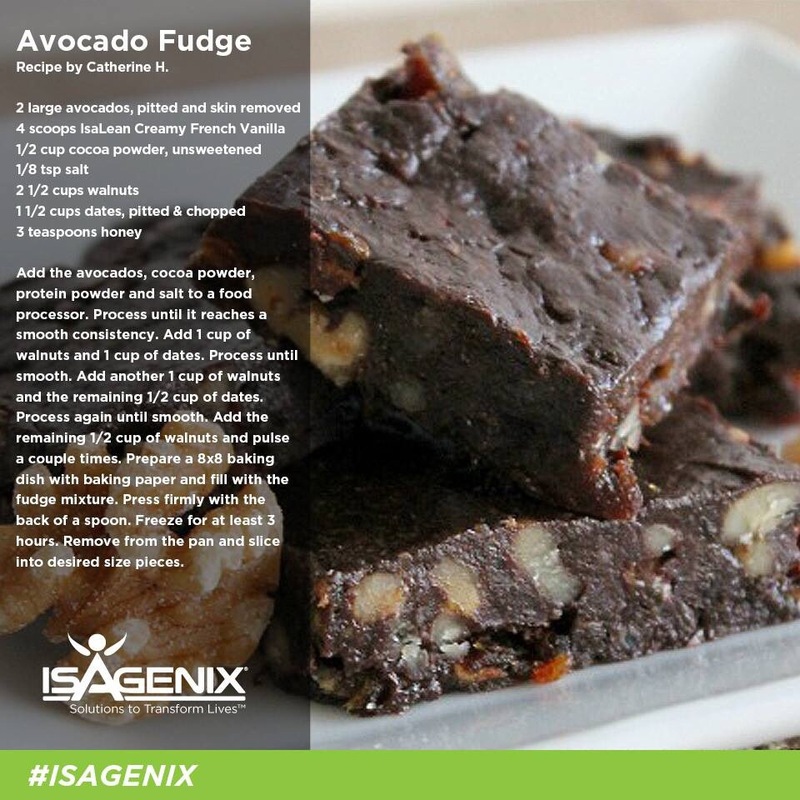 Place avocado, cacoa powder, Isalean french vanilla and salt to food processor. Process until it reaches smooth consistency. add one cup of walnuts and one cups of chopped dates. Process until smooth. add another cup of walnuts and rest of dates. Process again until smooth. add remaining 1/2 cup of walnuts but only pulse a few times. Each individual ingredient has great health benefits. Here are some of awesome reasons to incorporate these foods into your daily diet. IsaLean: High in quality protein, 23 vitamins and minerals, high in fibre which aid with digestion. Avocados: High in fibre and potassium, heart healthy fats. Cocoa Powder: Contains the minerals iron, manganese, magnesium, Zinc and also high in fibre. Walnuts: Plant-based omega-3 fats, high amounts of copper, manganese, molybdenum, and biotin. Dates: Supports digestive health, anti-Inflammatory and high in magnesium. 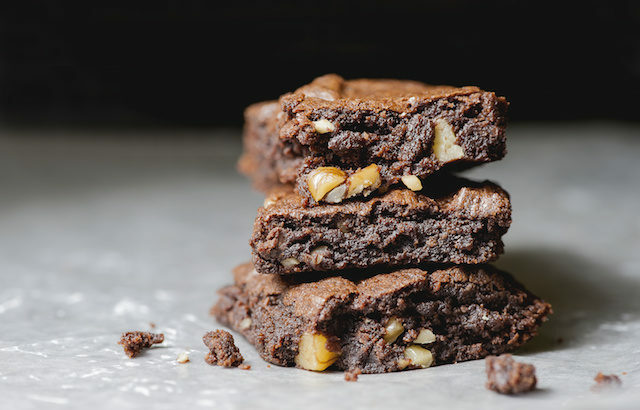 With all these amazing benefits you can feel good about eating these yummy fudge brownies. 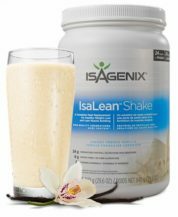 Isagenix Recipes Isalean shakes, nutritional cleansing.